More than ever, young high performance athletes I advise are keen to give protein supplements a try. 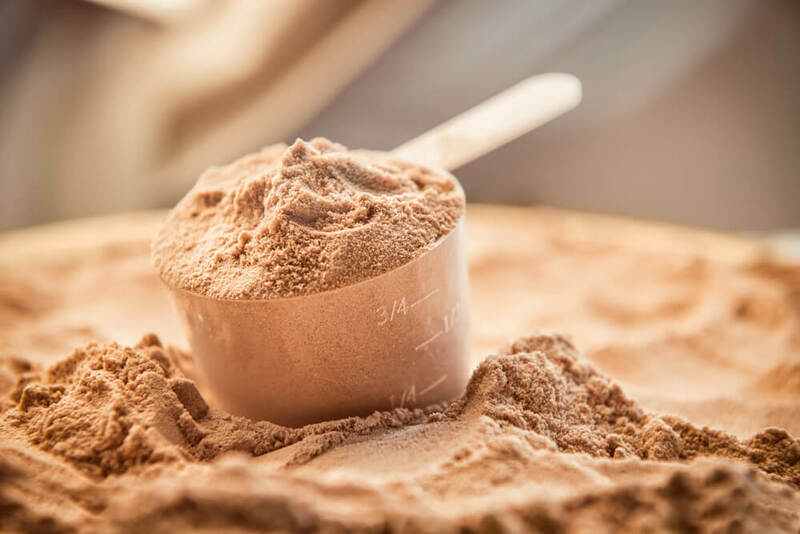 After all protein products are everywhere – in local shops, sports centres and cafes – and so widely promoted that it’s hard to believe that anyone isn’t taking them. Will they make me stronger, help me recover quicker, pack on more muscle? However, a lot of parents come to me worried that they could be wasting their money or, worse, that such products could be doing their young athlete harm. So, here’s the scoop on protein. If you’re a regular exerciser but not a committed athlete (e.g. exercising a low-moderate intensity for less than 30 minutes fewer than three times per week), then sticking with the RDA (around 0.75g/kg of body weight per day) should cover your protein needs. If you’re more serious about your exercise (e.g. exercising at a moderate-high intensity for more than 30 minutes more than three times a week), you’ll need between 1.2 and 2g/kg of body weight per day – that’s 84 to 140g protein for a 70kg person. This extra protein helps to repair and rebuild muscle cells damaged during intense exercise. If you do mostly endurance exercise, then stick to the lower end of the range. If you do mostly high intensity or strength exercise, then an intake at the upper end of the range would be better. Recent research points to the advantages of distributing your protein evenly throughout the day. For this reason, sports nutritionists now express protein recommendations in terms of grams per meal. Research suggests a minimum of 0.25g/kg of body weight at each meal, which equates to 17.5g for a 70kg person. You’ll often see this recommendation rounded up to 20g per meal, as most of the studies were done with 80kg guys. The heavier you are, the more protein you’ll need at each meal. This amount isn’t huge and is easily obtained from food. Eating more than you need won’t benefit your performance but it won’t do you harm either. Studies show that it does not cause conditions like kidney damage or bone loss (as was once feared) in healthy people. It’s also a common myth that you can’t absorb more than a certain amount of protein in one meal. The truth is your body will can digest and absorb all of the protein you eat, whether it’s 25 g or 50 g. It’s just that not all of it will be used for muscle building. Anything surplus to this will be used for other functions in the body or broken down into smaller molecules and used as a potential fuel source. Is there any point in taking protein supplements if you are getting all you need from food? There isn’t anything magical in protein supplements that will automatically pack on muscle or strength. Their main advantage is convenience as they provide protein in a concentrated and easy-to-consume form. In other words, they can be a convenient post-workout option to food. Most provide 20 to 30g of protein per serving. You can, of course, get this from food sources such as milk, peanut butter on whole grain toast, porridge, yogurt with a handful of nuts or chicken sandwiches. You’ll also get lots of other nutrients, which is why I prefer my younger athletes to eat food instead of supplements. It encourages them to think more about food and gets them into the habit of planning meals. Studies (such as this one and this one) have shown that milk is an excellent recovery food, promoting muscle building and repair, rapid hydration and also reducing muscle damage. No other benefits of supplements? Perhaps one potential advantage of supplements is their high whey content. Whey is a ‘fast protein’, which means it is digested and absorbed faster than other proteins so you get more rapid delivery of amino acids to the muscles. It also contains a high concentration of the essential amino acids, which are key in supporting muscle recovery, including the amino acid leucine, an important trigger for stimulating muscle building after exercise. But what about vegetarians and vegans? It can be difficult to meet your protein quota from food alone, particularly if you follow a vegan diet. Protein supplements can make it easier. If you use almond or rice milk, then bear in mind these are much lower in protein than ordinary (dairy) milk or soya milk. Try adding a scoop of vegan protein powder to a shake or smoothie to boost your protein intake. These contain protein from peas, brown rice, soya or hemp or a mixture of these. Supplements are not essential and there’s little point in taking them if you are already getting plenty of protein from food. But if your diet lacks protein (e.g. 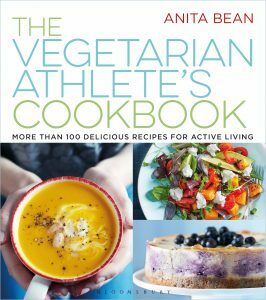 if you are vegetarian or vegan) or you’re looking for a convenient option to food after your workouts, then supplements can be good idea.